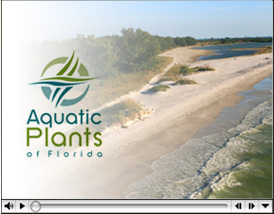 Aquatic Plants of Florida was created in 1994 to help both public and private entities meet water quality and wetland restoration regulations established in the Reauthorization of the Clean Water Act. One of the industry’s earliest providers of wholesale native plants and trees, APF has grown to be one of the largest. Protecting wetlands is vital to restoring and maintaining good water quality and aquatic plants are necessary to keep our planet’s ecosystems in balance. These plants provide a primary connection between the base of our food chain and higher forms of animal and plant life. They also improve the water quality of our rivers, lakes and bays by functioning as cleansing agents. APF grows native plants that are important to the preservation of these vital wetlands, and the engineers and crews on staff have the experience and knowledge to execute successful restoration projects. Site-evaluations are offered with no obligations. APF is an approved equal opportunity and affirmative action employer and a fully bondable company with multi-million dollar insurance coverage.